The appointment of Mirchandani marks the end of an eight-month search after the back-up and recovery vendor announced a new strategic transformation plan in May 2018. 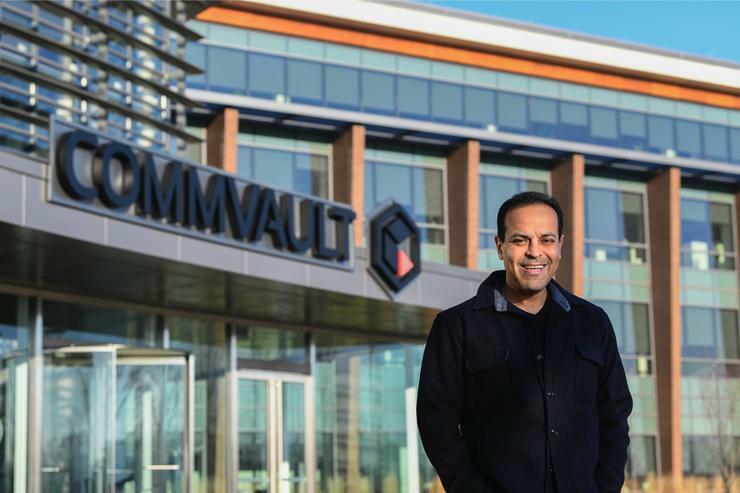 "Commvault’s partner-driven approach is closely aligned with my own," Mirchandani said. "I look forward to being an advocate for our customer, channel and partner ecosystems to deliver complete solutions." Mirchandani, who will also become a member of Commvault's board, has held senior leadership positions at VMware, EMC and Microsoft and has significant expertise in the transformation of IT. At Puppet, he grew the user base of Puppet’s open source and commercial solutions to more than 40,000, including 75 per cent of the Fortune 100. "Sanjay’s accomplishments at Puppet demonstrate a deep understanding of multi-cloud and cloud native applications," said Commvault’s incoming chairman, Nick Adamo. "We are confident he is the ideal person to build on Commvault’s current momentum and champion the rich heritage of combining innovation with unwavering focus on customer and partner success." Mirchandani replaces Bob Hammer who is retiring after leading the company for two decades. "During his 20-year tenure as our CEO, Bob built Commvault into an industry leader," Daniel Pulver, lead independent director of the Commvault Board, said in May 2018. "He guided the company through its successful IPO, and thanks to his foresight and vision, Commvault was able to capitalise on new technologies and market shifts, including the introduction of the cloud, the growth of mobile technology and the development of new IT infrastructure." Nick Adamo, who is a former senior executive of Cisco, has been named chairman of the board, replacing Hammer effective 18 April. Hammer will remain on the board as chairman emeritus. Commvault chief operating officer Al Bunte is also stepping down the executive role while maintaining his position as a member of the board of directors.